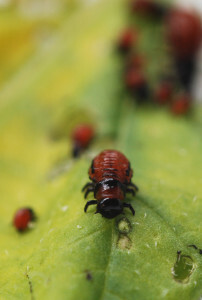 This project’s main objective is to identify novel Colorado potato beetle (CPB) gene targets for development of specific RNAi insecticides and further validate prospective targets using transcriptomics. The work includes: gene selection, establishment of double-stranded RNA (dsRNA) production methodology and the evaluation of dsRNAs’ insecticidal potential in CPB feeding trials. The global changes induced by the RNAi insecticide on the CPB gut will be examined using RNAseq. To explore how the RNAi insecticide changes the bacterial community structure and expression of genes in CPB guts, the larval gut contents will be sequenced using next generation sequencing (NGS) to obtain metagenomics/metatranscriptomic profiles.